We believe that what drives 25 successful years at Oakley is the people behind the properties. We have a great team spirit and some very experienced staff. We’d like to help you get to know us a little better too, so here’s the first of our introductions: Meet Murray! How did you get into Lettings in Brighton? I’ve worked in Estate Agency for 12 years. I started my working life in TV sales so picked up my skills from there, but as more people started buying online, the shop sales became less relevant. I’d always been interested in property as one of my best friends is an Estate Agent, and he helped me get into the industry in my first estate agency role, which then helped me to move into my role at Oakley. 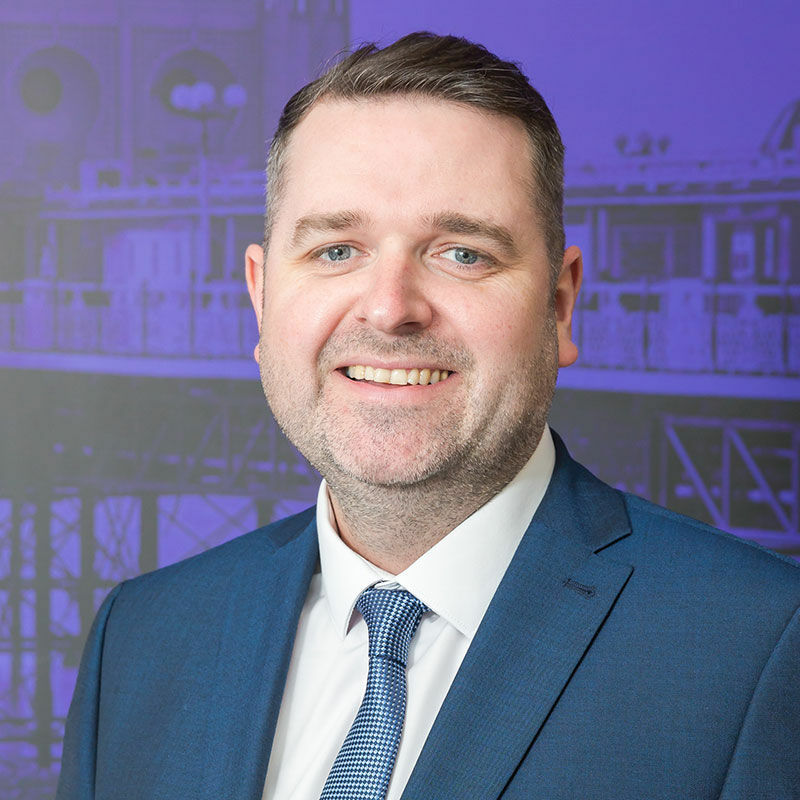 I was born and grew up in Brighton, so I know the area extremely well and have watched it develop and evolve which gives me a really good understanding of the local property market. What do you enjoy most about your job in Lettings at Oakley? I enjoy the business generation side of the job, from visiting clients at their properties to give rental valuations, to pricing larger schemes and new developments of entire buildings of apartments. I also really enjoy managing my Lettings team and organising the day-to-day running of the department. Brighton is a great city to work in with such a variety of properties. What kind of personality do you think suits lettings roles, and suits the Oakley team? I think a positive outlook and good organisation skills are important when managing a portfolio of properties. Being able to think on your feet in a fast-paced market, being able to see things from all angles, and being able to explain to your client in a way that breeds confidence is key to being a successful lettings agency. What has been your or your team’s biggest accomplishment for Oakley? We recently secured an instruction to manage one of Brighton’s biggest new developments, Central Park. Oakley are tasked with letting, and the ongoing management of the entire block of 63 luxury apartments. It’s great to see the project through from the start to the ongoing upkeep of the building and tenancies. We’re proud to have grown the Oakley Lettings department from a small team to now a 5 strong team of lettings professionals. Over the last 3 years we’ve tripled our management portfolio in addition to attracting a steady flow of new rental instructions. What was the most memorable property that you’ve been lucky enough to work on? The Super B development at Brighton Station would be the most memorable for me, as this was the first multi-instruction development we dealt with 3 years ago now as a small team. We won near 40 instructions from private investors in the Super B building, and that gave Oakley a real presence in the new homes private rental sector in Brighton and Hove.